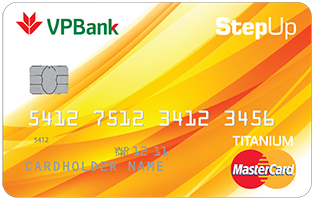 Aiming to satisfying all the above-mentioned requirements with just one product, we proudly offer you VPBank StepUP credit card. 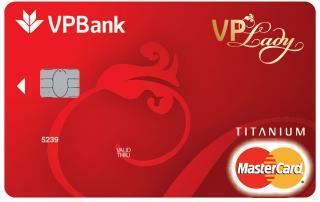 With VPBank StepUP credit card, what you want will be “Simply yours”. What is a full life of a perfect woman? VPBank believes that is when you take good care of your family, work hard at best and still have time to look after yourself. 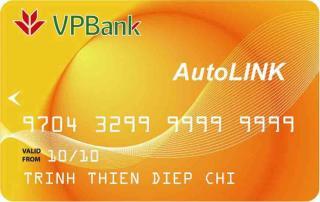 With this in mind, VPBank introduced VPLady credit card with outstanding features designed specifically for a perfect woman like you. 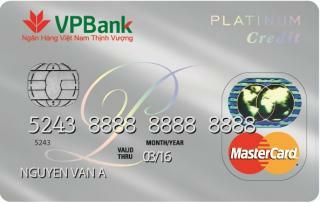 The co-brand card "Vietnam Airlines - VPBank Platinum MasterCard" (VN Airline - VPB Platinum Debit) is designed exclusively to fit with high-class lives of elegant and triumphant customers. This card not only helps you make convenient payment anywhere, at any time but also provides you with a mechanism to exchange any spendings with your MasterCard for attractive flight miles. 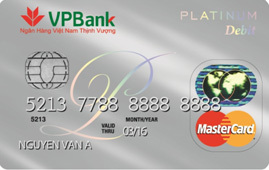 The international Platinum Debit MasterCard of VPBank is the first premium card in Vietnam recognized all over the world for using the chip card technology in compliance with the EMV (Europay - MasterCard - Visa) standard in order to protect the cardholders against losing information and reducing card frauds. 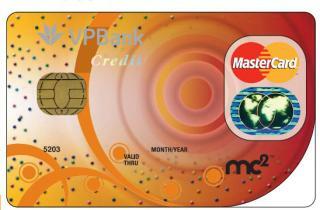 This card is ideal for those with high income who want to spend their own earnings and manage their financial resources.